Merlot 42%, Cabernet Sauvignon 38% and Cabernet Franc 20%. The varieties were fermented separately in stainless steel fermenters. Twice daily pump overs using the rack and return method were used at fermentation temperatures up to 30 degrees C, and lasting for ten days. The Merlot and Franc were pressed off at dryness, while the Cabernet Sauvignon was macerated for a month following fermentation. After pressing the wine was settled overnight before transfer to used French oak barrels. The wine spent twenty months on oak before being blended, and lightly filtered for bottling. The wine was bottled on February 25th 2009. Mid red colour. Berry fruit aromas of blackcurrant and mulberry with dried herb and subtle oak background. Ripe berry fruit flavours, nice mid palate texture and weight give way to fine grained fruit and oak tannins. 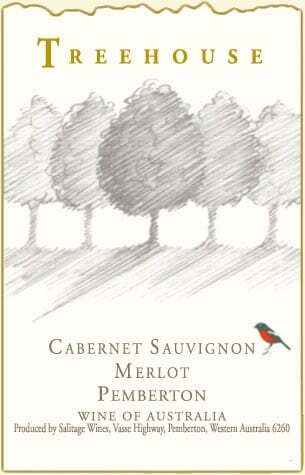 A balanced and approachable Merlot Cabernet that will benefit from short term cellaring.